The youth are working towards the LCMS Youth Gathering, “REAL PRESENT GOD” in 2019 and need your support. 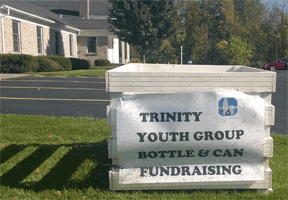 Trinity Youth Group is collecting deposit cans and bottles to fund their trip to Minneapolis in 2019. The large box in the church lawn is where those cans go. 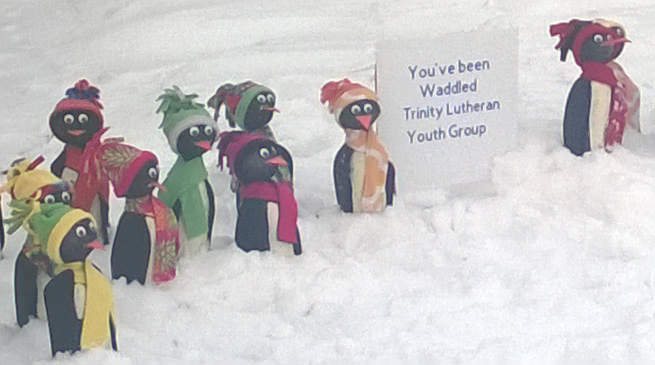 The weather outside is frightful but the Penguins are so delightful you might invite a waddle. A Trinity Youth Fund Raiser!! Please listen to the Proverbs 6:6-11 Podcast HERE. You will need iTunes to get it.